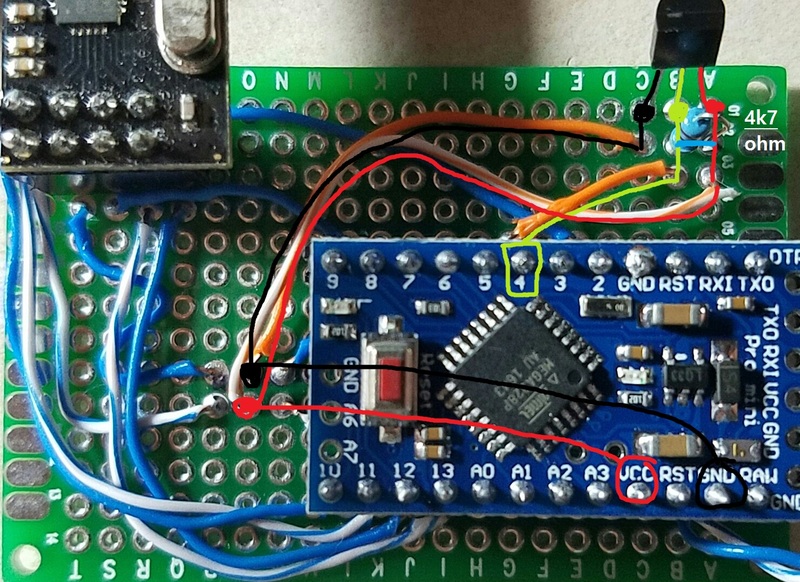 [SOLVED] Pro Mini 3.3v with DS18B20 sensor getting (-)127 Celsius! I hooked up DS18B20 to Pro Mini 3.3v using Vcc (3.3v). But the temp reading is constant at -127 degree Celsius. Below is my wiring with 4k7 Ohm resistor across data and vcc. I did some googling and some say -127 C reading means incorrect wiring. Is my wiring wrong? @gogopotato The DS18B20 is a pretty solid device, but there is a chance that it's broken. Re-check your wiring and measure the resistor before breaking anything. @AWI I will try that. Thanks!